Alive n Kicking: Was That Really A 'Happy' Hair Challenge?? No matter how long my hair is or how I style them, my ultimate aim personally is to attain and maintain healthy hair always... Though its ironical that I could not ensure coping up with hair issues and they could not be retained in their original condition. This was the time when Garnier Fructis reached me to take a 30 days #HappyHairChallenge to get me on the path of dealing with my hair problems.The #HappyHairChallenge introduced me with Garnier Fructis Triple Nutrition combo of Shampoo and Conditioner to be applied religiously for the said duration. I had shared the 'Then' state of my hair in my previous post here and today is the day to check on the 'Now' state of my hair. I had got slight white fluff on my head that usually leads to scaly greasy scabs on my scalp. 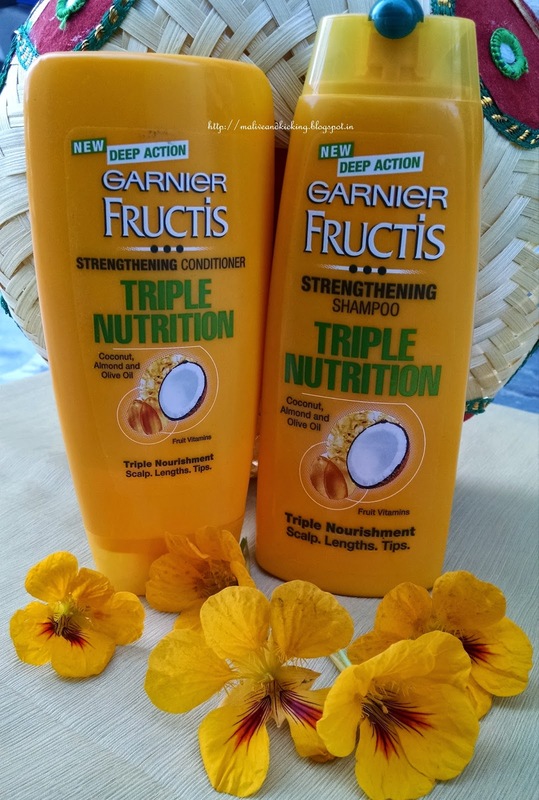 I developed a hair regime using Garnier Fructis Triple Nutrition combo that saw me washing my hair at least thrice a week providing moisture to my scalp. Since dandruff wasn't a serious issue, this challenge showed instant results within apprx 15 days of continuous usage. The right blend of nourishing Almond, Coconut and Olive oils made me realize the improvement for sure. The moisture enriching Garnier Fructis Triple Nutrition conditioner with Olive Oil, Amla Oil, Coconut Oil, Avocado Oil actually concentrated on the driest part of my hair after shampoing. I am usually concerned whether the shampoo is harsh on hair to strip off the oils that are required to hair. But no such issue arose during the usage of Garnier Fructis range and my softer, more manageable and hydrated hair are settled with greater degree of frizz control. Letting the creamy conditioner stay within my hair for almost 3-4 minutes covered with shower cap and then running the water through my hair removes all traces of conditioner had been the most gentle way to pick dirt and grime out of my hair. I took good care to partition my hair into section to avoid clump on the center of my head. The resultant hair got easy to detangle and minimized hair breakage. I believed that stronger roots can be achieved with a careful pick of mild shampoo capable of strengthening the hair with the deep action of its core ingredients. No one is ignorant of effectiveness of almond, olive n coconut oils being used for critical hair issues. The rate of hair fall has considerably gone down with only a month's application of Garnier Fructis Triple Nutrition combo. I honestly didn't expected the split ends to vanish without chopping them off. But ofcourse I agree that once cut, they won't turn up again if I continue using Garnier Fructis Triple Nutrition combo. As of now, there is no visible improvement on the mild split ends of my hair. 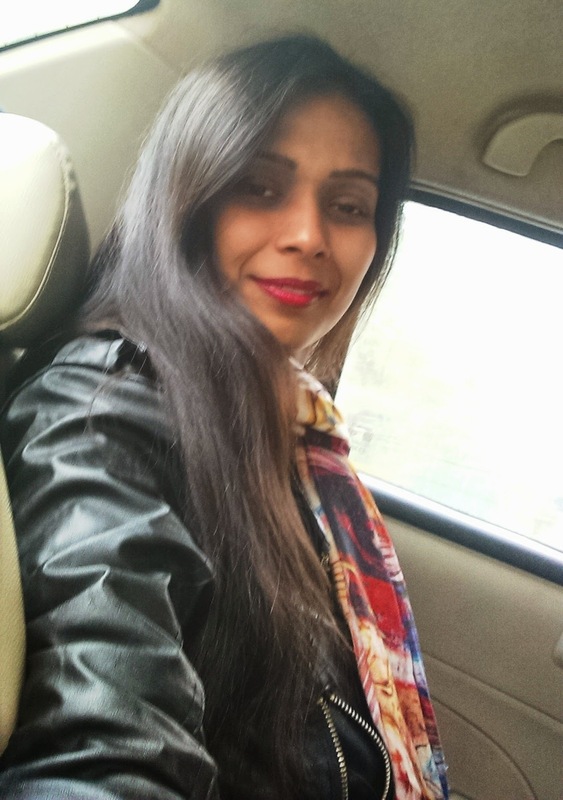 Infact, I am making up my mind to get minor trimming towards tips of my hair so that my present 'near perfect' hair state can be worth calling as 'perfect' in future, because I am completely satisfied with the outcome which is far better than my expectations. 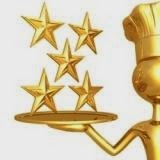 So I rate the Garnier Fructis Triple Nutrition combo with 5 twinkling stars. The texture of my hair feels good when I glide my fingers through them, the lost sheen has started showing again with bounce and added volume to my hair. I feel special to receive compliments and enjoy the feeling of 'getting to listen to what my hair always wanted' . will surly try it just for the sole reason that you mentioned that it reduces hair fall. And you have lovely hair, Touch wood!! !